The Pavillion Collection by Coaster Furniture features a recliner in every chair. 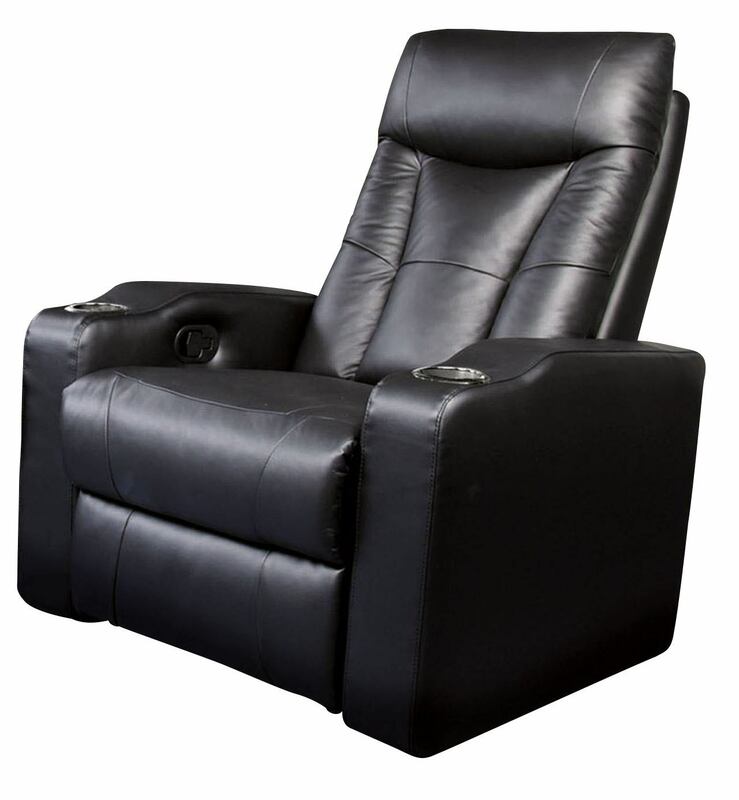 Designed with premium style and comfort in mind with the gorgeous black leather and black and metal chrome built-in cup holders. You can have as large or as small a grouping as you'd like simply by designing your own set. Build to suit your space and relax in your very own home theater!